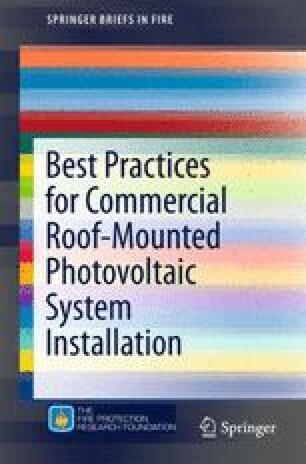 Guidelines depend on what type of mounting is used to attach the PV systems to the roof. There are three different methods of mounting PV systems to a roof structure: ballast-only, attached roof-bearing, and structurally attached. The attachment method can significantly affect the loads that are being applied to the structure and how it is being handled. “The roofing industry has learned from experience that ballast-only rooftop equipment does not necessarily remain stationary. Structurally attached equipment is more reliable in this regard” (Kirby 2011).